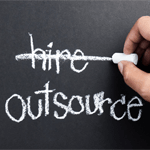 Finding a competent outsource provider can be a real challenge on the one hand, but on the other hand it can bring significant advantages to your business since you get an educated workforce and availability of labor. One may wonder. Why do I have to engage a CRM outsourcing company? To find out the answer just ask yourself: do I have the time or technical expertise to maintain or enhance my CRM system? Probably not. In our experience, to extract the most value from your CRM system you need a wide variety of not only engineering and IT skills but methodological skills as well. For many business owners the decision to outsource CRM tasks does not come easy. There is a lot of sensitive information in your CRM solution, so finding trustworthy people is obviously a top priority. Of course, the development of outsourcing locations means that firms have several options to choose from if they want to nearshore IT services in order to modify or support their CRM solutions. If you have never hired a CRM outsourcing company and do not know which factors to consider, take a look at our recommendations. Know when to hire an outside help. It is important to bear in mind if you do not want to suffer from on-peak load when there is a need to change some part of a CRM system quickly. Be strategic when setting a budget and timeframe. Negotiate the structure and the sequence of the project works. This will help you gain more cost savings, paying service provider on a pre-project basis or only for the hours rendered with your project. Be specific in the business tasks and challenges description. This will help you guide the project in the right direction and gain more CRM customizations based on what you really want that will allow your business to scale at a greater level. Discuss the categories of specialists you need. This one is necessary too. Make sure you take care of it. Knowing which specialists you need to carry out your instant CRM enhancement requests will provide you with a team of experienced and competent specialists. In addition, this ensures that you will get better support services and move forward faster. Of course, outsourcing has its drawbacks. I can name just few of them. These are the problems with communication, security and privacy leaks, issues with quality of the solutions etc. Still, nearshoring is on the rise thanks to the progress of collaborative technologies and a pool of highly qualified workers. If you want to see other recommendations on all the benefits outsourcing presents and at the same time maintain control over a CRM system, guarantee confidentiality and service efficiency, please, look at this article. It is obvious, that nearshoring makes it much easier to integrate activities and to handle confidential material. However, the questions still persist. Do you want to take on the burden of transformation and the associated risks alone or share it?